Hillary dodged the ‘pay to play’ question by Donald Trump in the last Presidential debate. Trump was questioning how Bill Clinton and the Clinton Foundation manage to get ridiculously large gifts and donations from foreign governments (many of which are horrible countries for woman and human rights). While Trump questioned her and chastised her, she simply smirked as though he was crazy and she did not answer to his charge. Just hours later, more emails were revealed in which Abedin was exchanging with Podesta regarding the impropriety of Hillary getting $12 million (yes, $12,000,000) in exchange for her attending an event in Morocco for the King. Abedin wrote that “this was HRC’s idea” for her to speak at a meeting of the Clinton Global Initiative in Morocco in May 2015 as an explicit condition for the $12 million commitment from the king. “She created this mess and she knows it,” Abedin wrote to Podesta and Mook. 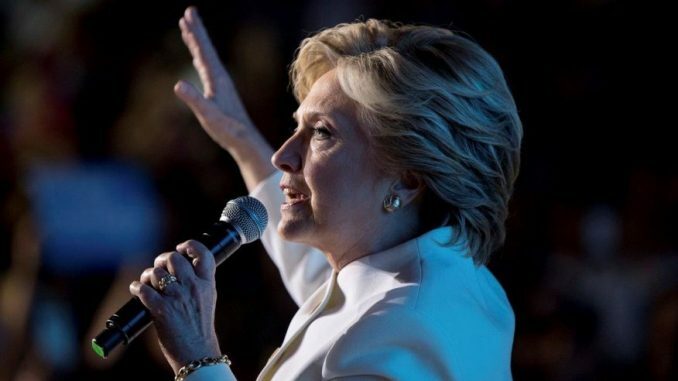 The “mess” refers in part to the fact that the three Clinton advisers were discussing the possibility of the former secretary of state pulling out of speaking at the May 2015 event because it was happening one month after the official launch of her presidential campaign and could raise more questions about her role at the foundation. Since Abedin was writing this in January 2015, after Clinton had already left the State Department, it is unclear if “our office” is a reference to this meeting being something that was set up years earlier while Clinton was still secretary or something that was put together by her personal office after she left the Obama administration.